Upload almost any type of file, as well as create assessments and documents from within the platform, and easily create a course in minutes. 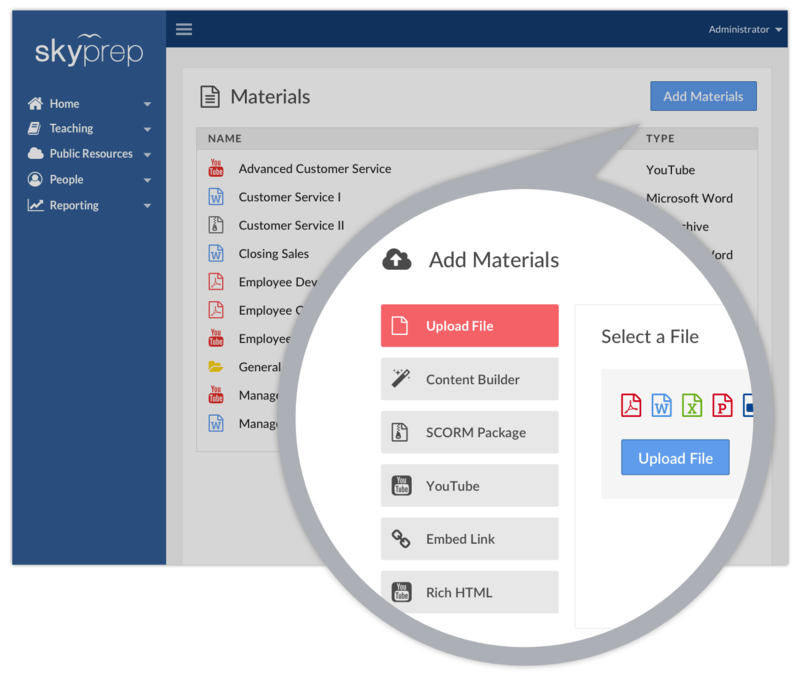 Once a file has been added to SkyPrep, you can use it as many times as you need, without the hassle of having to constantly upload it. SkyPrep’s training platform simplifies the user management process, helping you do more in less time. Automatically send emails, generate certificates of completion as soon as a user finishes a course, create a report in just a few clicks, and much more. 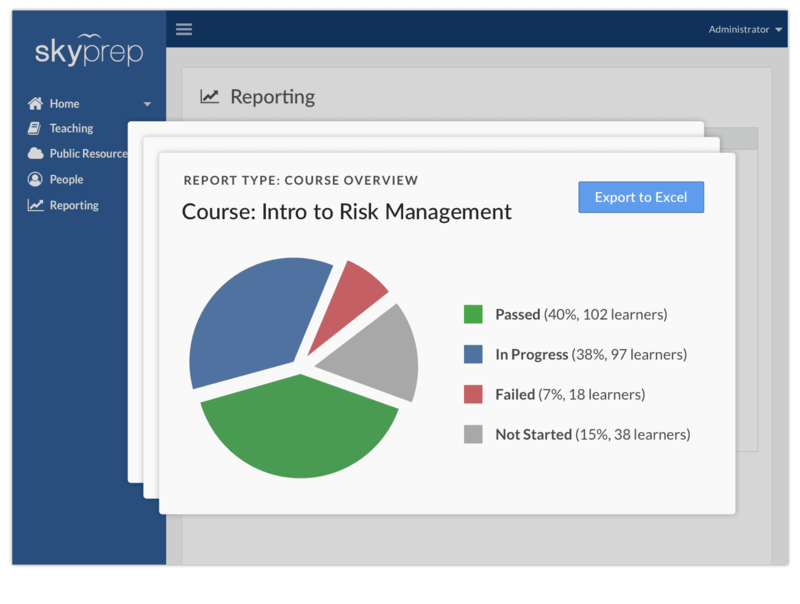 SkyPrep's online training platform lets you easily stay on top of what's going on. Our robust reporting features will let you keep track of how your users are doing and create visual and spreadsheet reports, making compliance and audits easy. 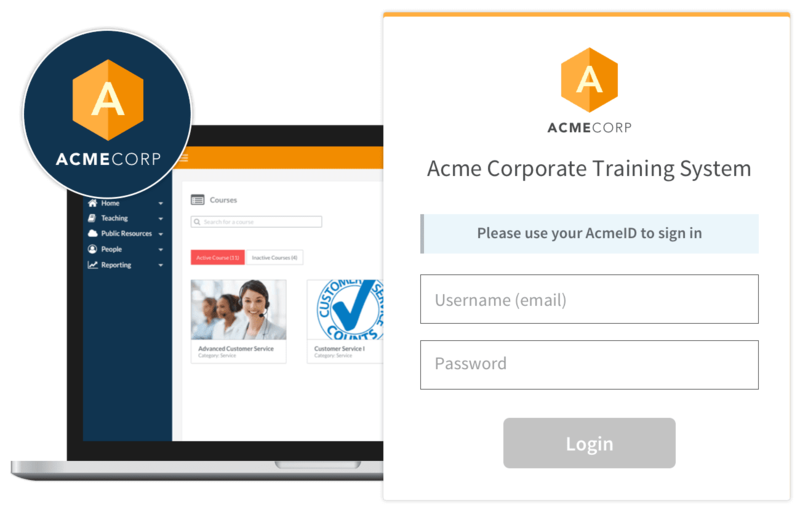 Tailor your e-learning platform to match your company's identity. Easily customize your platform with white labeling options from custom colors and logos, to personalized automated emails and a custom domain. Get Started with SkyPrep and Improve Your Online Training Today! 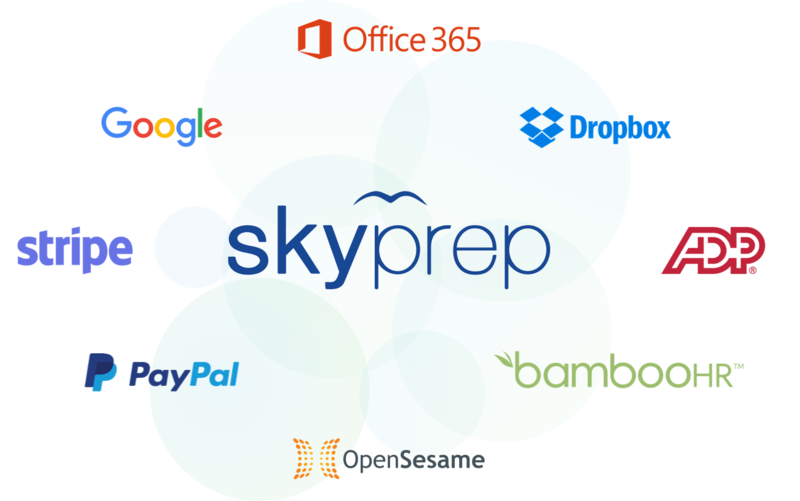 SkyPrep offers many integrations, including Stripe and PayPal, BigBlueButton and much more. 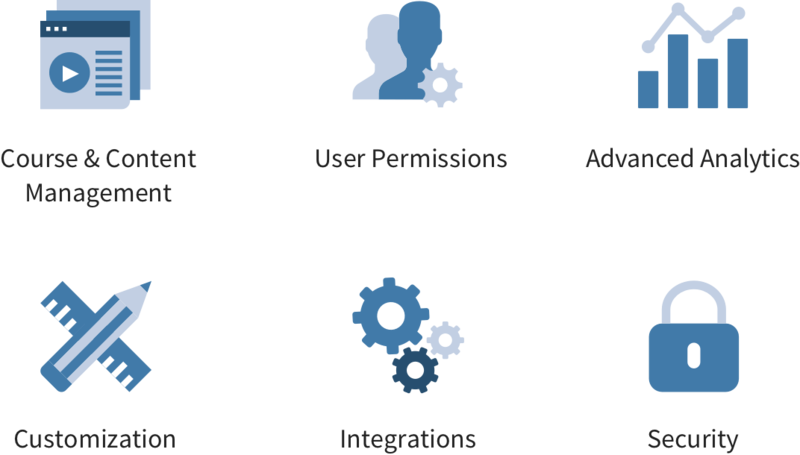 With SkyPrep's open API, you can easily integrate SkyPrep with the systems you use today. SkyPrep's enterprise-grade security model ensures your information is safely stored and backed-up at all times. All of your data is stored on secure SSL-certified cloud infrastructure, and you have complete control over who can access your platform. 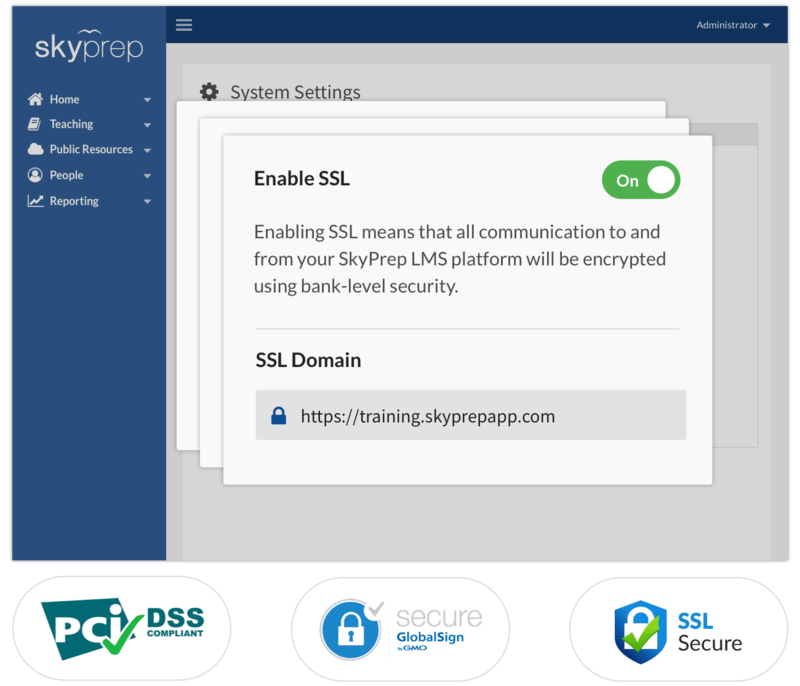 SkyPrep offers a wide spectrum of options that allow you to customize your platform's look and feel. 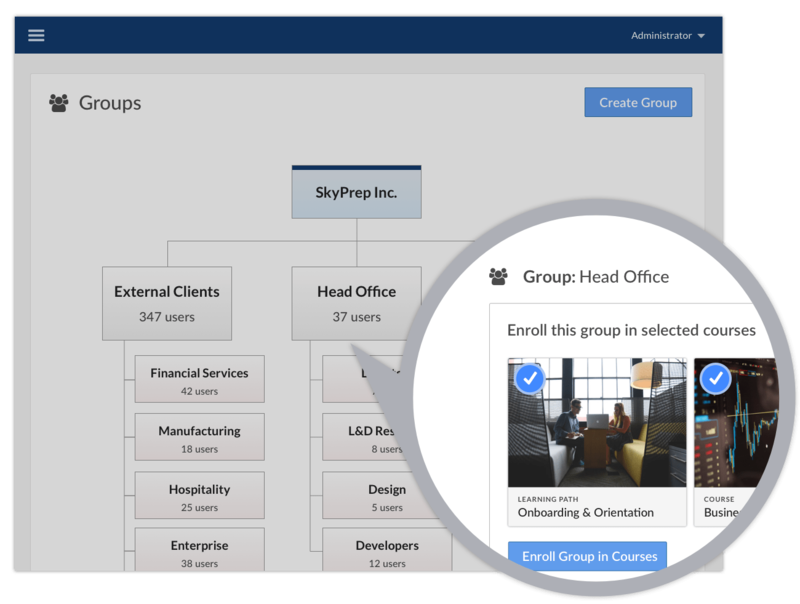 It's easy to connect SkyPrep to the other services and tools that your organization already uses. We're focused on keeping your information safe while providing learning platform you can count on.